Yesterday Dr.Bohan and I got to experience the great work of TASO, The Aids Support Organization. Through my time in Uganda I have noticed how prevalent HIV is in the population at the hospitals, yet none of their pharmacies dispense HIV medications. Patients are expected to bring their own from home. It was great to finally see the process of how some of these patients get their medication. A wife whose husband got HIV from a blood transfusion started TASO. The village thought that witchcraft was involved and shunned them. A group of 15 friends infected or affected by the disease came together to start an organization to support one another and do something to fight against AIDS. In 1987, the group created the name TASO, which has since created a network of 11 service centers, 4 regional offices, and a training center spread throughout Uganda. The services they offer include HIV/AIDS counseling, medical care, social support, nutritional support, education, networking, and research. What we got to experience was a Community Drug Dispensing Point visit. 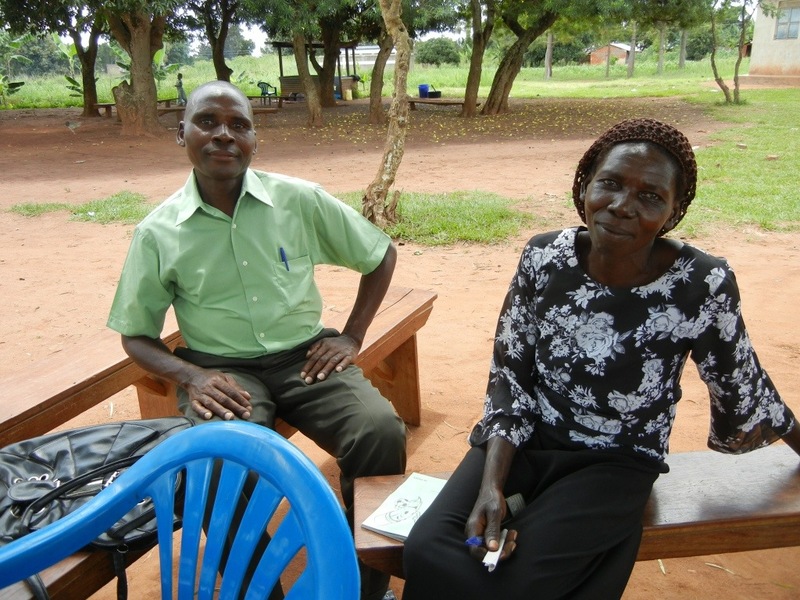 We traveled with two counselors, Mary and Doreen, to the Kiryandongo district about 40km outside of Masindi. We expected to have 25 patients to meet with. 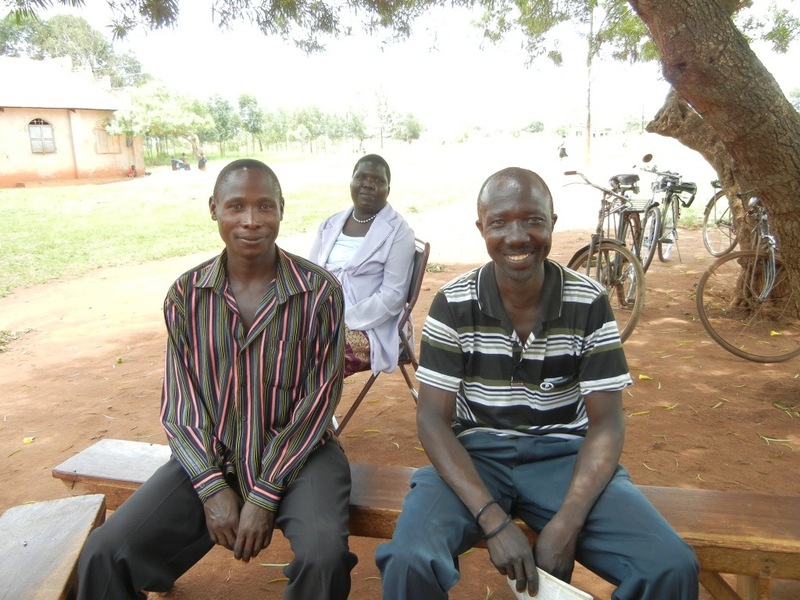 Most patients were already sitting together on benches in the shade as we arrived, and a few more trickled in as they set up to total 21 patients. I quickly realized the counselors do much more than just deliver patients their next supply of medicine. 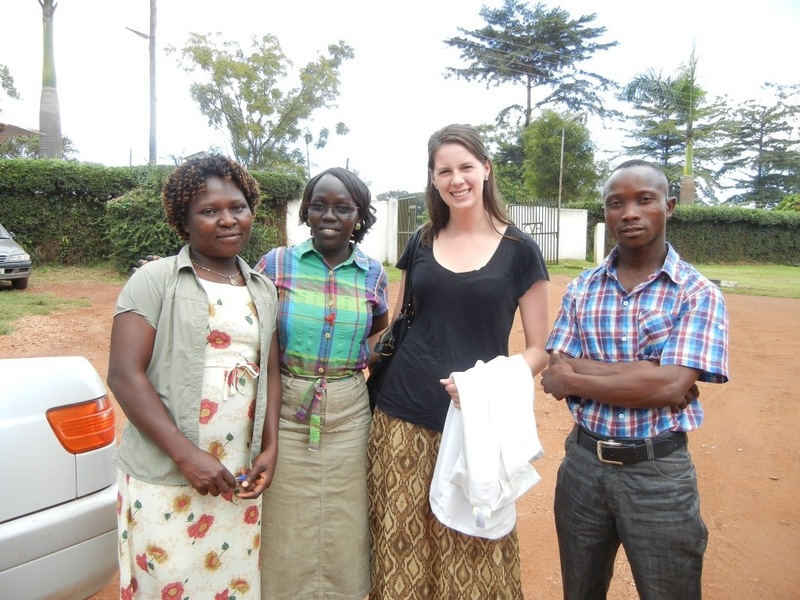 First they have the patient’s pay 2,000 shillings and hand out their receipts. 2,000 shillings is equivalent to about 78 cents. They have the patients pay a small fee as opposed to it being free to encourage commitment and have them value the service. Each patient keeps their own journal that Mary and Doreen used to record the visits’ overview including updated patient weight, lab results from the last visit, medications they were receiving, and their next scheduled visit. In addition, the counselors filled out forms to assess medication adherence, additional medical problems, and the current risk of TB. They used the questioners as a guide to determine if a closer follow up date was needed for individual patients. Dr. Bohan helped by recording everyone’s weights and helping with signatures on forms, which we both found interesting. There were a few patients who could not sign, so we would cover their thumbs in pen ink and have them leave a thumbprint. I helped Mary with the paperwork and dispensing of the medication to patients. The atmosphere there was very positive, which was great to see. The group seemed very close and made us feel very welcome. The only thing that could have made it better was if I hadn’t removed my blood pressure cuff from my bag that morning to make room for my umbrella. One of the patients who has not made it to the dispensing point in 2 years actually came in hope of going to the hospital to get her blood pressure taken due to recently feeling dizzy. She is paralyzed from the waist down, so making a trip out herself is very difficult for her. 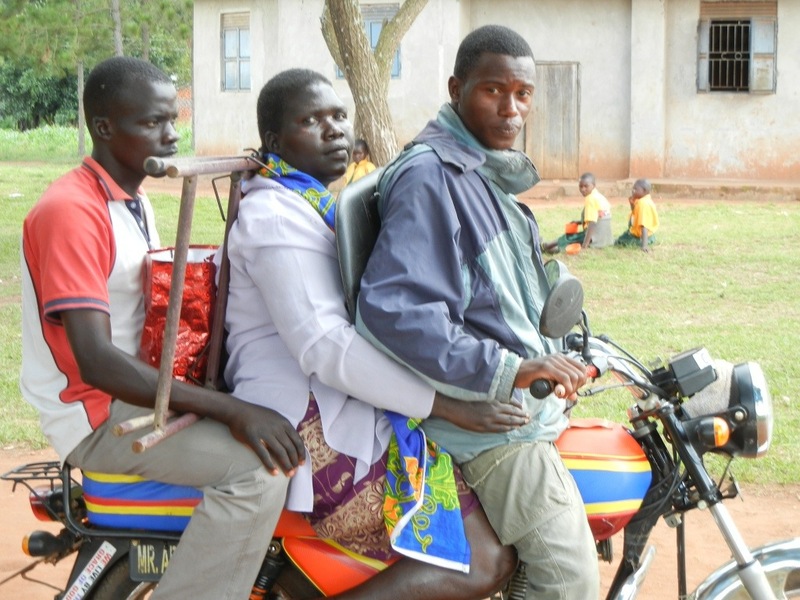 Luckily she has amazing support from her family who were able to bring her sandwiched between two people on a BodaBoda for a 3km trip. Unfortunately, the nearby clinic did not have a blood pressure cuff so she left without having her blood pressure taken. Lesson learned: carry your blood pressure cuffs everywhere cause it is bound to come in handy! ​One of the patients who did not show up just delivered a baby, so the counselors felt it was important to actually seek out where the patient lived and visit her. 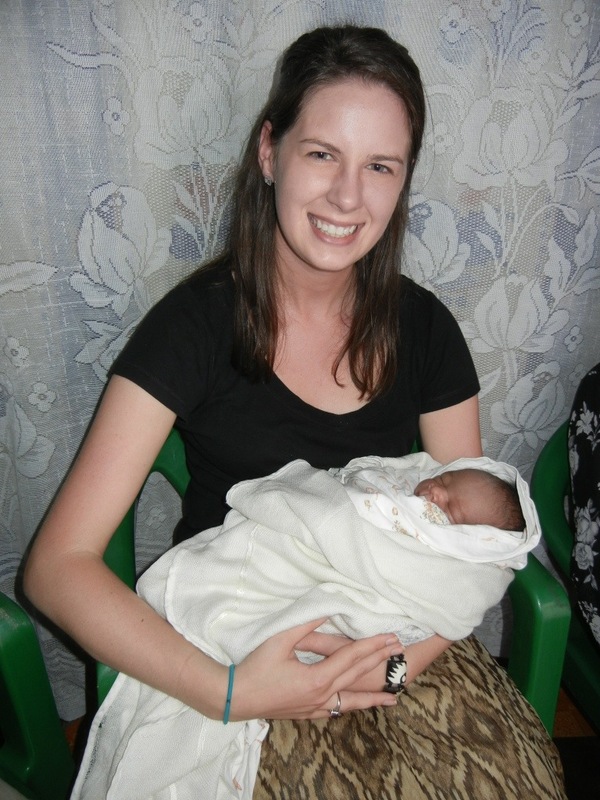 This was one of the highlights of the trip as I got to hold the patient’s newborn as Dr.Bohan. 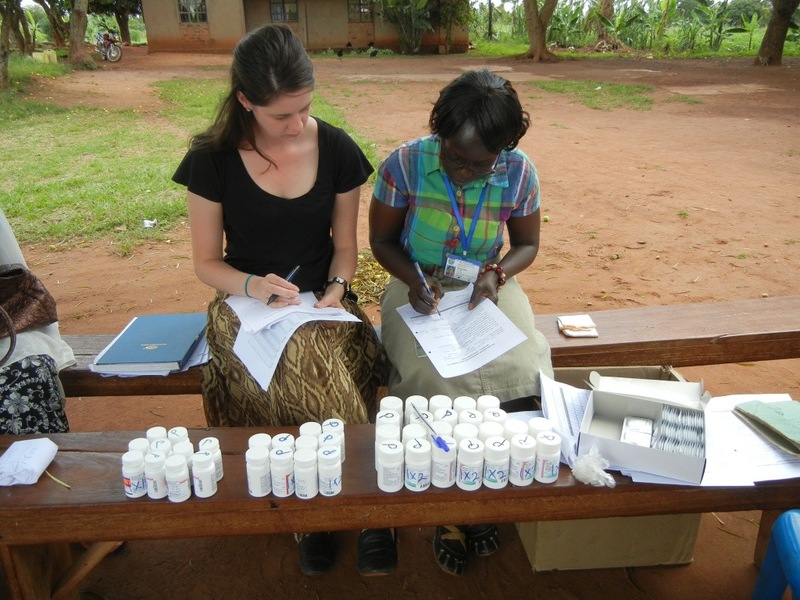 Mary, and Doreen dealt with dispensing the medication, the paper work, and assuring the newborn had medication. Although my “babysitting” was short, it caught the attention of the young children playing outside who quickly spread the word that a Muzugu (white person) was in the house and holding a baby! Children all took turns peaking inside the house to see what was going on. It is rare to see visitors in the village, so this was even more unusual for the children to see. The visit showed me how dedicated the counselors are to their patients. Although it was late, they took the time and went above and beyond to check on a patient who they knew must not have made it to the dispensing point due to her newborn. This entry was posted in Diseases/Health, My Safari (My Journey/Adventure) and tagged D'Youville College, international health, Masindi, Pharmacy Students, Public Health, TASO, The aids support organization, Uganda, Wilkes University. Bookmark the permalink. It looks like you had a very productive day. Congrats on the amazing work you’re doing there. Thanks for all your comments. It really has been an amazing experience. I learn new things every time I come here and when we are able to be of service, it is very rewarding.